Many of you out there already own, or have at least tried, a One Drop CODE2, otherwise known as the Nautilus. Community One Drop Experiment (C.O.D.E.). 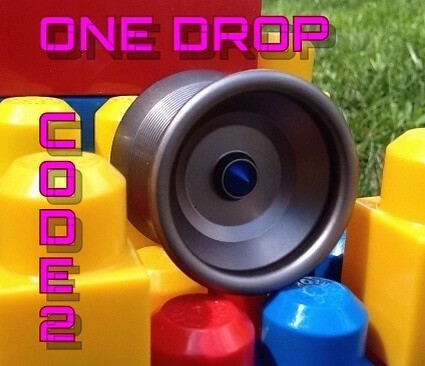 This project started with One Drop’s CODE1, a unique throw in which all the design specs were chosen by the yoyo community. What a great idea, right?! It’s a win-win for everyone! You got to choose the throw you wanted, and One Drop was able to receive awesome feedback from the community. Now we have the CODE2 Nautilus. For this second experiment, One Drop decided to go a little different route. 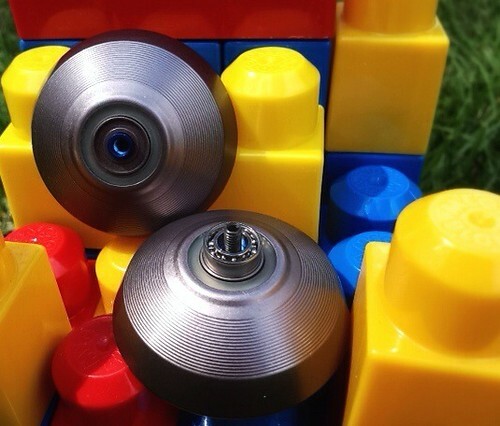 One Drop recognized the many talents the yoyo community has and realized that there are many out there, who can not only throw really well, but also design a throw. Held on the OD forum, any member could offer their design. The designs were then critiqued by the community, then one design was chosen through a vote. Jason (J-Rod) Rodriquez, a name familiar to many, held the winning design. After some minor tweaks by the machinist, we have the CODE2. Let’s see if Jason and One Drop achieved what they were aiming for. Let me mention first that this CODE2 is not engraved. I received this one directly from One Drop like this. This is still a production run CODE2. You can see the engravings of the CODE2 at all the many online shops that sell it. Like all other throws One Drop puts out, the Nautilus came packaged in a simple brown cardboard box with a sticker on the front indicating what yoyo was inside. Simple and elegant. I opened up the box to see this nice subtle gray color. I like neutral colors on my throws, so this simple gray was to my liking. Immediately, I felt that weigh difference. Not a brick by any means, it just felt solid. This is a good thing. We’ll have to see if it throws like a brick, or if that extra weight helps in performance. I’m beginning to really like the Pyramatte finish One Drop has created. It’s smooth and durable. The Nautilus sports those classic OD lines (called barrel marks or something like that) that can be seen on many of their original releases. The markings on the CODE2, I believe, are like the ones found on the y-factor (a bit smaller than the lines on the P2 for example). A very nice touch, both for appearance and function in assisting with grinds. Speaking of grinds, there is also a full IRG for thumbs grinds and the like. The Nautilus would be considered a sort of h-shaped hybrid. It’s got a little bit of that organic shape to it as well. It’s full-sized, making it very comfortable in my large hands. The rims are nice and beefy, which should lead to great balance and long spin times. There is one little step at the catch zone, which is there to help reduce string friction and help in guiding the string perfectly into the gap. You’ll notice I didn’t put anything in the “Not so great…” box, as I also did above in the “Construction and Design” category. Well, there’s a reason for that. In my opinion, I can’t find anything wrong with this throw. And believe me, I’m critical. I’m doing a review after all! As mentioned, I feel this is a perfect choice for anyone looking for a great freestyle throw, or for anyone who wants to smooth out that difficult combo they’re working on. Really, it’s perfect for pretty much any advanced player, or for anyone who’s trying to reach that next play level. It’s a little heavier, yes, but that little extra weight is well distributed and gives the Nautilus long spin times. 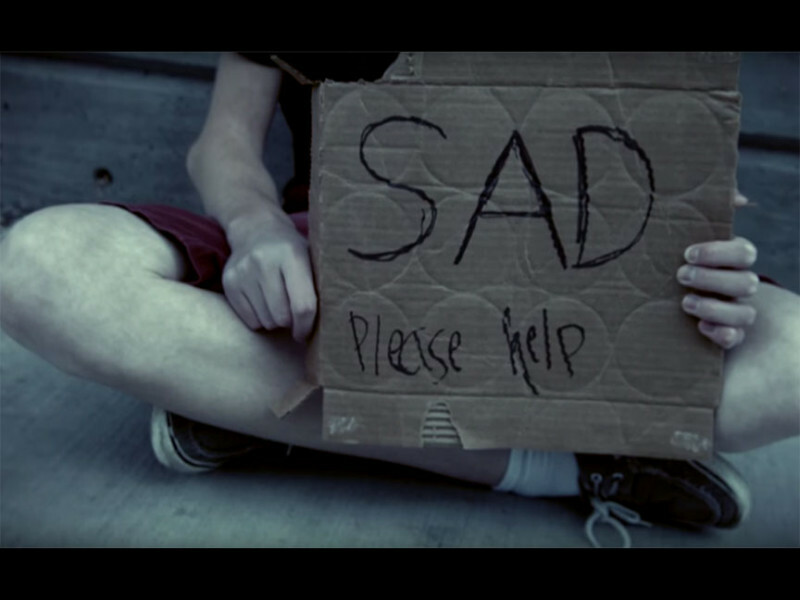 Of course if you want to make it lighter or heavier then all you need to do is to change up the side effects. I did play the CODE2 with aluminum ultra-lights, making it a few grams lighter. It made it a little quicker, but I personally like the feel of the aluminum spikes that come standard with it. The Nautilus plays at a nice steady pace. You can certainly go fast with this throw but you don’t have to. The CODE2 allows the thrower to be in control and isn’t unwieldy. The balance is incredible as well, leaving you, once again, in complete control of the direction of the throw. One could easily transition from side style to horizontal in one throw. On a simple gyro flop the Nautilus had no problems. Like I said, many of you out there have tried this beauty, and if you haven’t there are still many to be found at all your favorite online stores. 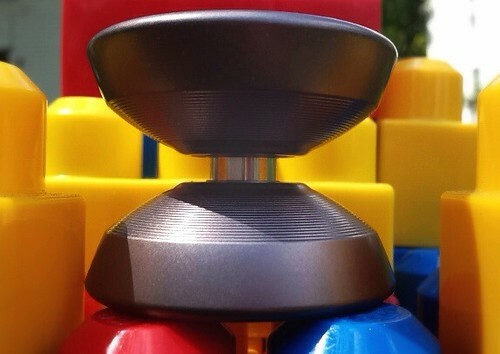 I applaud One Drop for listening closely to the voice of the yoyo community. I believe it has paid off well for them. And for us as well, because we now get to play a yoyo that we had a say in. So look out for more potential Community One Drop Experiments! In the mean time, throw a CODE2 Nautilus! Written by Nathan “n-mart” Martsolf who had to look up what a “Nautilus” was.